I visited Beijing a couple weeks ago to speak to a group of Chinese corporate executives. They were brought together by a major environmental NGO to discuss climate change. The meeting itself was fascinating, but I was really struck by a general impression in China that the country is taking green business very seriously. I was interviewed by one of the major Chinese-language financial newspapers, which has a weekly section on clean technology. And each morning at my hotel I received the China Daily, the country's main English-language newspaper. Throughout the news and business coverage, the feeling that sustainability is crucial to the future of the country and its industries is palpable. Out of 20 feature articles in the business section on November 15th, for example, five were all about the glories (and sometimes challenges) of green. Of course this is anecdotal evidence, but it demonstrates a level of conversation that the rest of the world should take note of. "Nation spurs development of new, green technologies"
"VW: Tooling up for sustainability"
"Batteries still drag 'green vehicle' effort"
"Chemical company paints rosy picture for the future," which opens with the question, "How can a chemical company earn more money through eco-friendly products?" The article shows how the Dutch firm AkzoNobel is growing in China, particularly through products that help customers reduce environmental footprint in the shipping and building sectors. "China Hi-Tech Fair ready to highlight emerging industries," which describes China's largest tech show going on this week in Shanghai. This last article is the one that really grabbed my attention. The theme of the big event was "Technology-led Transition and Innovation-driven Development," which sounds broad. But the focus was squarely on "energy saving, environmental protection, and the low-carbon economy" with other emerging areas -- infotech, biotech, and modern materials -- taking a distinctly secondary role. Each major government ministry in China was pitching green products and services at the tradeshow. The Ministry of Commerce was showing how some companies "have made use of technology to...promote a low-carbon economy and environmental protection." The Ministry of Industry and Information Technology's pavilion will demonstrate "industrial energy savings and the comprehensive use of resources." And on and on. Clearly, China is making green a central pursuit of business, not a side issue. Contrast this with the approach in the U.S., where the equivalent to China's Hi-Tech Fair might be something like the Consumer Electronics Show. It's hard to imagine the focus of that Vegas extravaganza shifting from new entertainment devices and other energy-using toys to energy-sipping technologies. In the U.S. business community, green is still a separate pursuit -- frankly, it's usually ghettoized within companies and industry events alike. Most green-themed gatherings are still relatively small and feature a recurring cast of characters. The one major exception, which does not disprove the rule, is the mega-event GreenBuild which, coincidentally, was happening at the same time, but in Chicago. Tens of thousands of people gathered to explore green building materials, designs, and strategies. But imagine if the even-larger annual event held by the National Association of Home Builders (NAHB) was focused mainly on environmental issues (I actually spoke at NAHB two years ago as a green keynoter, but to a few hundred people in a side room, not the thousands that attend the main-stage events). That's what China's Hi-Tech Fair is doing. I wrote a couple of months ago about China's leadership in the clean tech race, but at the macro level. It's another thing to see the green focus up close. However, the company execs and NGO leaders in Beijing tell me that sustainability is still a new pursuit for Chinese companies. It's really the government that's pushing the agenda with massive investments in clean tech. At the corporate level, they're looking to the U.S. and the West for best practices. But don't count them out for long; if there's one thing Chinese companies are good at, it's implementing a "fast follower" strategy. Still, before I got too carried away with conclusions about the difference in approaches -- and it's nearly impossible not to trip up trying to generalize about China -- I wanted to see if the November 15th issue of the China Daily was an anomaly. Then the November 16th issue arrived at my door and the cover story was about alternative energy. I recently attended my home association’s annual meeting, a gentle community affair that focused on reviewing our budget. Only one line item was way up this year – after a record winter in Connecticut, snow removal fees rose 30%. No big surprise. But I was shocked to learn from the association president that the snow levels and fees would be “back down to normal next year.” Apparently all climate changes would be remedied by December of this year. Phew. I considered chiming in on the true uncertainty about climate “weirding” and how we could get no snow next winter…or a lot more. But since it’s a relatively small part of our budget, I figured I’d just let the chips fall where they may. In this case, the level of denial about where we’re really headed as a planet is of little consequence. But what happens when large cities or countries make investment and planning decisions based on either science or denial? The New York Times just reported on Chicago’s impressive plans for climate adaptation. I spoke last year at an event in Chicago and a climate expert from the Union of Concerned Scientists showed one of the more powerful slides I’ve ever seen on climate impacts (see below). Over time, Illinois will find itself feeling more like the 2010 version of east Texas. As the Times pointed out, models indicate that Chicago will see 70 or more days per year over 90 degrees (vs. 15 each year over the last century). The Times article is a fascinating look at how one city is grappling with this possible scenario. The city is shifting to more permeable pavement and planting hardier species of trees (over the last 30 years, they’ve already shifted about one growing zone). In comparison, witness the sad display of lack of leadership from Texas Governor Rick Perry last month. Facing record droughts, the Governor suggested everyone pray for rain. Faith is fine, but not to the exclusion of actual preparedness. This divide is starting to play out on the national and global scale. As I’ve written about many times, the U.S. is falling behind on clean economy spending and investment versus China, Germany, Britian, and many others. As Yale 360 (a wonderful publication) reported recently, the U.S. ranks 17th on clean tech spending as a percentage of GDP (Denmark is #1). The global levels are hard to compare of course, but preparedness in our communities? That’s easy to imagine and the differences are tangible. The unprepared will be struggling with heat, floods, water shortages, and much more. Over time, the gap between states and cities that are ready and areas that are in denial could make the country’s current blue/red divide seem quaint. Here's a surprising new fact about energy in the United States: the percentage of our electricity coming from the greenest sources — that is, the non-hydroelectric renewables such as solar, wind, geothermal and biomass — has doubled in just four years to nearly 6 percent. (Thanks to climate uberblogger Joe Romm for uncovering this data from the Energy Information Agency). This significant win for clean energy has gone mostly unnoticed in the press. If anything, the story has been the opposite: recent reports herald the decline of wind, and for a year the media has made a big deal out of the demise of solar panel manufacturer Solyndra. Given this negative drumbeat, it's not surprising that the business world tends to perceive renewable energy as an altruistic, rather than fiscally prudent, investment. But this view is dead wrong. The renewable energy industry is growing very fast... and not because it's a philanthropic effort. Let's look at the plight of solar panel manufacturers again. Every growing industry experiences painful shakeouts driven by rising competition. In the case of solar, vast investments in production capacity in China have quickly brought down the cost of panels — a jaw-dropping 65 percent slide in just 18 months. This is good news for people buying solar, but it's not great for many manufacturers. By lowering the "China price," the world's low-cost manufacturer is doing to solar what it did to the apparel and electronics sectors: driving higher-cost producers (usually in the West) out of business. Aside from China's role specifically, all of this should look familiar to any students of business history. Adam Shor studies the solar sector for the Electric Power Research Institute. As he put it to me, "Show me a mature industry with more than five big players." In the most oft-cited parallel example, a century ago there were hundreds of car manufacturers. But all of this context misses a critical point that most businesspeople are overlooking: problems for manufacturers do not equal problems for the entire sector. Jigar Shah, a well-known clean tech entrepreneur and former CEO of the Carbon War Room, gave me this perspective: Solar cell manufacturers account for only three percent of the roughly 100,000 U.S. jobs in the solar sector. Another quarter make other components and the rest, making up a large, growing and local job base, work elsewhere in the value chain. Thus the fastest growing players are young companies that sell, install and service solar: soon-to-be household names like SunEdison (which Shah founded), SunRun, Sungevity, and SolarCity. In a lengthy article on these solar entrepreneurs, The New York Times recently reported that Sungevity, for example, has seen its revenues explode 16-fold in just two years. So back to this doubling of the share of electricity. Once technologies take off, doublings can happen pretty fast — just ask the investors in the Internet, mobile or social media. Will renewables' share double every 4 years? As Shah pointed out to me, the solar business is growing 30 percent per year (see the Solar Energy Industries Association site for general info in the U.S. solar market). Here's a math check: doubling every 4 years requires 19 percent annual growth. The power of exponential growth and economic tipping points work wonders: in just three more doublings in share, non-hydro renewables would provide nearly half of our electricity needs — more than we get from coal or natural gas today. The scale and pace of change I'm describing is not a fantasy — it has already happened elsewhere. Portugal transformed its electric grid from 17 percent renewables to 45 percent in just five years (as of 2010). And in the first half of 2012, renewables provided over 25 percent of Germany's electricity. On one sunny day this past May, Germany set a world record by generating 50 percent of its peak electricity needs solely from solar power. Shah predicts that next spring, the number will be closer to 70 percent. It was easy to write off renewable energy as a side show at one or two percent of total electricity generation. But it isn't good business to ignore it now, as the economics get better and better. Making the assumption that solar or all green energy won't work because one company didn't pan out is absurd. In 2000, were all technology investments poor bets because Pets.com went under? The cost of using renewable energy, either through power purchasing agreements that cost nothing up front or through direct investment, is dropping fast. This reality changes the calculus on green energy for homeowners, governments and corporations alike. Upfront costs are falling, which makes the ongoing variable cost of renewables — that is, zero — even more attractive. Better yet, zero is a predictable cost, which CFOs love. In recent years, several corporate energy managers have told me that when they run the numbers on renewables, the payback just isn't quick enough. I'd suggest running the numbers again. For anyone who doesn't want to reduce carbon emissions, China seems like a great scapegoat. The defenders of the status quo argue that U.S. companies will be at a disadvantage if we tax carbon or invest in clean energy because "China's not doing anything." U.S. 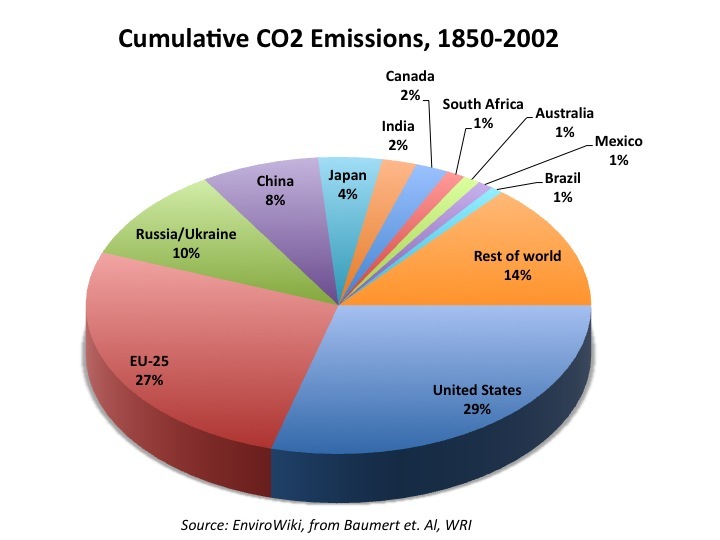 Senator Marco Rubio recently offered up a perfect example of this idea: "There are other countries that are polluting in the atmosphere much greater than we are — China, India, all these countries that are still growing. They're not going to stop doing what they're doing." And New York Times op-ed writer Joe Nocera used the China Defense last week in his latest pro-fossil-fuels piece: "the Chinese are far more concerned with economic growth than climate change." July 2010: 5 trillion yuan, or $800 billion, alternative energy plan over 10 years (this is like the part of the U.S. stimulus plan that funded clean tech, but times 10). August 2012: $372 billion to cut pollution and energy use. August 2012: 40% increase in solar target (21 gigawatts by 2015). January 2013: Wind power is now the number 3 source of energy in China (passing nuclear). Is China still growing and emitting more carbon? Of course. Is it planning to build another 363 coal plants? Yes. So the world is not black and white. But even with lots of coal and oil investment, there's no way you can say China is doing nothing on clean tech. 3) We should want to go clean anyway. One of Sen. Rubio's other comments, the most common specious argument against acting on climate change, was that restricting carbon would "devastate" the economy. This is, to borrow a phrase, malarkey. Even putting aside the literally trillions available through energy efficiency, there's a vast upside from creating new industries. According to the bank HSBC, the clean economy will be a multi-trillion dollar market soon. After all, we're reinventing the world's largest industries: energy, transportation, and buildings. Most other major economies get this and are investing heavily in the clean economy. But no country has gone as fast as China, which has grown its share of solar manufacturing to 50% in avery short time (with nearly as impressive a performance in wind). I could keep going with counterarguments — like shouldn't we lead because we're, well, leaders? But even if science doesn't care and the whole "China isn't doing it" argument is a lie, I'm partial to number 3: We make money doing it and it's good for us. That's enough for me. I’m catching up a bit on re-posting some blogs. The U.S. and China, the two largest emitters of greenhouse gases, have announced new sizable targets for reductions in emissions. President Obama is committing the U.S. to cut emissions 26 to 28 percent from 2005 levels, while Chinese President Xi Jinping announced China’s first cap on emissions by 2030. These are impressive improvements from what came before, and there are many reasons to celebrate. But unfortunately, a little basic math shows they may be too little, too late. If we want to increase our odds of holding warming to the globally agreed-upon limit of 2 degrees Celsius (or 3.6 Fahrenheit) – a goal that many scientists begrudgingly accept as the most that was politically feasible, but not necessarily enough to avoid some serious environmental challenges – there is only so much carbon the world can still emit. More recently, the Obama Administration revealed and submitted the plan more formally to the UN as part of the global negotiations leading to Paris meetings later this year. As promised, the President committed the U.S. to a 26 to 28% cut in greenhouse gas emissions from 2005 levels by 2025. As my previous blog described, we need a cut of more like 40% to match the latest science. And a recent analysis from my colleagues at PwC shows graphically the shortfall of the US and EU targets. But that said, nobody in business should think the plan is weak or that it won’t have broad impacts across the economy. The administration is using the power of the EPA, the courts, executive orders, and government purchasing power to continue or expand a range of initiatives. There will continue to be pressure on power plant emissions; new emissions and efficiency standards for equipment, vehicles, and buildings; and initiatives to address non-CO2 gases like methane (cows) and HFCs (refrigerants). The other announcement that came out recently was an aggressive plan to cut the government’s own emissions, not by 28% cut, but by 40%. So they do understand the science. Unfortunately, the country-level target must be more about what seemed feasible politically or wouldn’t upset energy interests too much, not about what’s necessary. But it’s a real plan and should help the world drive toward a global agreement in Paris later this year. Let’s keep our fingers crossed. 1. The Pope reminds us that we’re all connected. The Pope’s encyclical, Laudito Si, is a manifesto asking that we reconsider how we treat each other in a threatened and divided world. He challenged the current form of capitalism and made a powerful case for tackling climate change and inequality on moral and economic grounds (I’ve summarized his paperhere and here). Some big names went even further than this nudging and took direct action to lower their carbon emissions and costs by buying large amounts of renewable energy. The giants contracting for hundreds of megawatts of wind and solar included Apple, HP, Kaiser Permanente, Google, Dow, Amazon, as well as GM and Owens Corning. Many of these companies are also shooting to use only renewables. 10. VW cheats and Exxon’s true colors. Warren Buffet once said, “It takes 20 years to build a reputation and five minutes to ruin it.” VW quickly learned this this harsh truth when it came out that the company had cheated on emissions tests to make its diesel cars seem cleaner burning. Credit Suisse says VW’s actions could cost the company $86 billion, andsales in November in the U.S. dropped 25%. · Will commodity prices stay low or skyrocket again? · What companies will take advantage of, or get tripped up by, the increasing demands for more information and transparency? · Will another storm like Hurricane Sandy hit the U.S. and elevate climate to a top tier issue for the 2016 election? · As Millennials become a larger part of the economy (half the global workforce by 2020), what will they demand? · How will technology, big data, and sharing economies drive change in business and help make the world more sustainable? I look forward to a fascinating and more sustainable year to come. Happy holidays and best wished for a wonderful 2016! If there’s any force greater than whatever propelled Donald Trump into the Presidency, it’s economics. Nobody, not even a President Trump, can stop all movement toward the clean economy. The reason is simple: it’s now cheaper to cut carbon and use renewable energy than to keep the status quo. Don’t get me wrong. Today is a very hard day for many Americans. I know I am fearful about our democracy and threats to human rights of all kinds. I also believe some critical structural problems in our system badly need to change (like the electoral college, profit and clicks-driven news media, and money in politics). But part of my coping mechanism is to focus on one key area of my work and life — tackling the world’s biggest challenge, climate change, by building a clean economy. And even though I believe electing a climate denier in 2016 is lunacy, I have hope. Yes, if Trump follows through on what he said he would do on energy and climate — lots of support for fossil fuels on the former, nothing or worse on the latter — it could have a devastating impact on global political progress on climate change. The U.S. may pull out of the Paris accords, leaving the rest of the world holding the bag. But even if that happens, it won’t stop the clean economy for two big reasons. First, other countries, including China, are not going to stop their own investments in clean energy and technologies. And, second, neither will the business community. Why? The short answer is it’s more beneficial to bottom lines, health, and economic growth to keep going on the clean economy. It’s flat out more profitable. To understand why I’m confident about this economic reality, bear with me as I get a bit wonky. I’ve spent a lot of time diving into detailed analyses of energy economics. Clean energy skeptics will tell you that renewables are more expensive than fossil fuels. That’s not true. Let me repeat — it’s really not true anymore. The bankers at Lazard have been building models of what it costs to build and operate different forms of energy. Their numbers-dense report shows very clearly how fast the cost of wind and solar has dropped (60 to 80% in the last 6 years). Now, compare those unsubsidized costs — yes, that means without any government incentives — to the retail price of energy around the country. The newest renewable energy projects cost less than the average industrial and commercial energy prices in at least 45 states. Because of this economic reality, a large majority of the new energy being put on the grid is now renewable and big companies are buying gigawatts of clean energy directly to reduce their emissions, build stability and resilience into their energy supply, and save money. In other words, renewable energy has already won. On the geopolitical side, other countries will keep going. We’ve moved way past the “no, you go first” phase of global climate negotiations. They’re not waiting for the U.S. anymore, and thank god. Consider China. The country isn’t investing hundreds of billions of dollars in clean technology because of global accords like the Paris agreement. It’s the other way around — they came to the table to agree to global carbon cuts because they want to invest in the clean economy. Part of the reason is staring us all in the face: people can’t breathe in the cities (this is true in India as well). They need a transition to cleaner tech for their own very tangible well-being, and to hold onto power — people could easily rebel if their kids are choking. But more importantly, again, it’s cheaper. But they definitely include economics. So follow the money and fight on. In 2015, the world pivoted in a historic way toward sustainability. Debates about climate change melted away. Every country committed to action in the form of the Paris Agreement. Even the Pope spoke to the issue, reminding us that we’re all connected. It was a productive 12 months, to say the least. Every year, I find big themes or specific company stories that I feel are impressive, important, or indicative of where the world is going. In 2016, two dwarf the rest: the election of Donald Trump and significant action on climate change. The context for sustainable business in 2017 may center on the competition between these two stories; that is, how will Trump and his team impact or impede progress on climate and other sustainability issues? So let’s focus on these two first, and then run quickly through seven other interesting stories. It’s not yet clear what Trump’s election means for issues that impact companies’ efforts to manage environmental and social issues. Climate change, building a clean economy, reducing inequality and raising wages, providing health care to support general wellbeing — all are big unknowns now. The early signs from the Trump team are not promising, in my view. He wants to appoint as head of the EPA a man who denies climate change and led legal battles against the EPA. His pick for Labor Secretary is staunchly opposed to covering overtime pay or increasing minimum wages (something many leading companies have been doing on their own since 2014. His choice for Secretary of State is the CEO of ExxonMobil, a company that has, for decades, attacked climate science when it knew better. A leaked memo from the Trump transition team shows an intention to move away from the Paris agreement and almost all climate and clean economy action. In response to Trump’s election and his statements doubting climate change, many countries that signed the Paris climate accords in 2015 made it clear they would power on (China in particular — see story number three, below). Former French president Nicolas Sarkozy even proposed taxing U.S. goods if the country pulled out the Paris agreement. And throwing his weight in, former New York Mayor Michael Bloomberg publicly declared that cities would fight on, with or without Trump. Finally, hundreds of companies signed the latest declaration from Ceres showing their support for Paris. This is all promising. For this and many other reasons, the sustainability journey in business will continue. But given Trump’s likely stance, any global progress on climate will happen in spite of headwinds from the U.S. federal government. In the U.S., the action will have to move to states, cities, and the private sector. Businesses in particular will need to lead in a way they never have before — and they will. For most of 2016, the world moved quickly on climate. I’ve already mentioned the historic Paris agreement, but there are more positive steps worth noting. With the support of chemical companies, more than 170 countries also agreed to phase out HFCs, the high global-warming-potential chemicals used in air-conditioners and refrigerators everywhere. The UN also agreed to slash emissions from the airline industry. Norway banned deforestation and both Norway and Germany moved toward banning fossil-fuel-powered cars. This week, Canada announced it would tax carbon nationally by 2018. In the U.S., the Obama administration started to incorporate the “social cost of carbon” in decision-making and the Pentagon made climate change a military priority. President Obama, with his counterparts in Canada and Mexico, agreed to some aggressive regional targets on renewable energy and efficiency. At the state level, New Jersey passed a big new gas tax, and Oregon, Illinois, and California developed robust energy and climate policies. All of this will affect companies of all stripes. Business itself wasn’t quiet on the climate front either. Many invested heavily in renewable energy (see number five on this list), and some big companies dove into policy debates this year. More than 100 companies called for action on the Clean Power Plan (Obama’s big move to reduce power sector emissions), with tech giants Apple, Google, Amazon, and Microsoft even filing a legal brief in support of the policy. Nine big brands with operations in Ohio publicly pressed the state to reinstate energy efficiency and renewable energy portfolio standards. Many previously quiet companies, like food giant General Mills, spoke out about how important it was to their business to tackle climate change. Why all this progress? First, evidence of a radically altered climate system has become crystal clear. After 2015 shattered climate records, 2016 got even hotter and more extreme, creating weather events that brought physical destruction, massive economic costs, and loss of life. Second, the financial world is getting better at evaluating what’s at stake. The World Bank estimates that $158 trillionworth of assets are at risk from increased natural disasters. The London School of Economics tells us trillions of financial assets are also vulnerable. And in the U.S. alone, floods in Louisiana and North Carolina caused $10 to $20 billion in damage. While many countries accelerated their climate and clean economy work this year, China is a special case. Early in the year, China said it would halt new coal mine approvals, close 1,000 mines, increase wind and solar by 21% in 2016, and even eat less meat to control carbon emissions. But last month the country also indicated coal use would rise until 2020 (albeit at a slower rate than the growth of renewables). So it’s not totally clear where China’s emissions will head. But the country clearly wants to lead the world in the clean economy transition. Speaking from this year’s UN global climate meeting – which happened to coincide with the U.S. election — Chinese ministers sent a message to Trump that climate change is no hoax. Then China’s President Xi said he’ll be attending the annual bigwig gathering in Davos for the first time, with reports of China’s interest in filling trade gaps left by Brexit and possible leadership gaps on climate left by Trump. Renewables have been trouncing fossil fuels for a few years as the costs of the newer technologies have dropped remarkably fast. The world record for cheapest solar plant was set in Mexico… and then broken within weeks in Dubai with a bid of 2.99 cents per kilowatt-hour. Countries with big investments in renewables are reaping the rewards. For four days in May, Portugal was 100% powered by renewables, and on a single windy day Denmark’s windfarms gave the country 140% of what it needed. The U.S. finally got into offshore wind near Rhode Island. In a subtle tipping point, the total global generating capacity from renewables passed coal this year. As prices dropped, companies noticed, and corporate purchases and commitments to clean energy grew. Walmart set a 50% renewable target for 2025. In the last few weeks, Microsoft and Avery Dennison announced big purchases of clean power, and GM and Google said they’d target 100% renewable energy within a year. A growing number of companies signed the RE100 commitment to go for 100%. And in Nevada, both MGM and Caesars filed papers to stop purchasing power from their utility, NV Energy, because it doesn’t support renewables. New capital is still flowing to the clean tech — Bill Gates, Jeff Bezos, and some other business leaders just announced a $1 billion fund to invest in “next generation energy technologies.” All of this activity convinces me that Trump can’t stop the clean economy. Larry Fink, the CEO of Blackrock — the world’s largest asset owner — followed up his 2015 letter to S&P 500 CEOs with another treatise against short-term focus. He disparaged the “quarterly earnings hysteria” and asked companies to submit long-term strategy plans and address environmental, social, and governance (ESG) issues. BlackRock also issued a “climate change warning,” telling investors to adapt their portfolios to fight global warming. Many banks heeded the advice, pulling funding from coal. The London School of Economics also estimated that climate change could slash trillions from financial asset values. Because of this economic and systemic risk, a high-powered task force from the G20’s Financial Stability Board issued important guidelines for companies to make climate-related disclosures. To help investors evaluate their holdings, Morningstar launched sustainability ratings for 20,000 funds, and 21 stock exchanges introduced sustainability reporting standards. Finally, to educate the next generation of analysts, the CFA exam will now include a focus on ESG issues. Companies are getting more vocal on human rights issues for many reasons. For some, it’s about the commercial opportunity to appeal to a new or growing market of rights-focused consumers. Others want to attract and retain diverse talent. But in general, society is expecting companies to broaden their mission. In one survey, 78% of Americans agreed that “companies should take action to address important issues facing society.” Millennials feel even stronger. A global survey this year showed that 87% of Millennials around the world believe that “the success of business should be measured in terms of more than just its financial performance.” This generation — which will be 50% of the workforce by 2020 — seeks employers that share their values. So far this century, more than 20 large countries, as well as 33 U.S. states, have “decoupled” GDP growth from GHGs. One energy hog, the IT sector, has managed to level off energy use in data centers. There’s serious talk again about “peak oil” — not of supply, but of demand. We’re seeing a fundamental shift in our relationship with energy for many reasons, including the improving economics of efficiency and clean tech (see #5). But companies are also getting more systematic, strategic, and fun — yes fun — in slashing energy. More organizations are using some old tools like “treasure hunts” and reimagining them as “energy marathons” (26.2 days of innovation). Others are competing to slash energy use — see Hilton and Whole Foods energy teams go head-to-head in a streaming reality show. Big themes are great, but periodically a specific example of leadership seems worthy of extra attention. In this case, Levi’s had spent a decade identifying great ways to cut water use in the apparel value chain. Realizing that water issues are too big to tackle alone, Levi’s celebrated World Water Day this year by open sourcing its best practices in water management. In essence, the company decided to promote system change and even invited competitors to its innovation lab for the first time in its history. With a growing population and ever-rising demand for resources, it’s becoming necessary to find ways to eliminate waste and reuse valuable materials endlessly. We’re seeing some interesting innovation in policy and business practice. Sweden is planning to offer tax breaks for fixing things instead of throwing them away, and six EU countries started a four-year project to help small and medium-size enterprises move to circular models. A number of companies also made moves into this space. A supermarket opened in the UK filled with only food that would’ve been thrown out. IKEA is expanding its circular offerings like reselling used furniture and creating new products from leftover textiles. More than 25 companies in Minnesota, including 3M, Aveda, and Target, launched a circular initiative to share expertise. The Ellen MacArthur Foundation and Kering both created curricula in circular thinking for fashion and design students. And finally, the Closed Loop Fund, which invests in recycling infrastructure (using funds from some large retail and CPG brands), reported on substantial progress, including launching single stream recycling across Memphis. Given how far off pundits and prognosticators were this year, I have to proceed with caution. Who really knows what a Trump presidency will bring to the U.S. and the world, or what the corporate sustainability agenda will look like with so much uncertainty? I do believe companies will expand their horizons, looking more at systems, not just their operations and value chains. They will increasingly partner to tackle big global targets like the UN’s Sustainable Development goals. Demands for more transparency about how everything is made — from consumers, employees, investors, and other stakeholders — are unlikely to slow down. The food and agriculture sectors in particular will feel even more pressure to cut carbon and food waste and simplify ingredients. And no matter who’s in charge politically, macro trends are hard to stop — a changing climate; increasing challenges around water and other resources; higher expectations of companies; rising concern about inequality and wages; and technological disruption from AI, machine learning, and autonomous everything. These trends will continue and companies will need to adapt — fast. According to reports, President Trump is expected to pull the U.S. out of the Paris climate agreement. This is a horrible decision for business, the United States, and humanity. In this moment, running through the details of the agreement itself, which commits nearly every country in the world to significant energy and carbon reductions, is not vital. Nor is what we could analyze — from what will actually change in how the U.S. uses energy or emits carbon if the agreement is abandoned (it’s not a straightforward discussion by any means) to what states, cities, and citizens can do as a result. But the key point I want to make here is that the business community does not want to leave the Paris climate agreement. Let me repeat: Even though Trump and his team keep telling everyone that climate action is somehow bad for the economy, most companies don’t agree with that assessment. On May 10, in an attempt to influence the president’s thinking, 30 CEOs wrote an open letter to Trump, taking out a full-page ad in the Wall Street Journal. The opening reads, “We are writing to express our strong support for the U.S. remaining in the Paris Climate Agreement.” I won’t reprint the whole letter here, but please read it. This is not a tree-hugger group. And it’s not a list of usual suspects from consumer-facing brands that may want to impress consumers or seem like they don’t have a huge carbon footprint. Nor is it a list that makes you think the money men want out of Paris. Heavy industrials are here. The biggest banks are here, and in other communications, too — see the letter to G7 leaders from hundreds of institutional investors, representing $17 trillion in assets. Finally, I can say confidently, the list does not even remotely cover all the companies that feel this way. The CEO of Dow corralled fellow CEOs over just a couple of days to get these signatories. Many more agree but couldn’t move that fast on the letter, and many other executives have made their feelings known through back channels to Trump and his team. Public statements of support for the Paris agreement have even come in from the CEO of Exxon. Yes, Exxon. And just look at the hundreds of companies that have already committed to science-based carbon reduction goals and 100% renewable energy. And yet the president seems to be ignoring this clear message coming from our titans of industry. He has claimed for a long time that he wants to put America first. But by withdrawing we would join a short list of UN member states that have not signed the agreement: Nicaragua and Syria. That’s it. The U.S. cannot lead the world in any dimension if it abdicates responsibility and leadership for the greatest challenge facing humanity. After Trump’s historic blunder in pulling the U.S. out of the Paris climate accords, regional leaders, CEOs, and the rest of the world sent a clear message: We’re moving on climate change. And this is why I still have hope. Then Trump, true to form, made one of the most economically, scientifically, and morally bankrupt decisions in modern U.S. history. Leaders around the world were ready. They spoke loudly. Here are just some of the tweets. See, in particular, Jeff Immelt’s statement that “Industry must now lead.” Absolutely. And two high-profile business leaders took Trump’s decision as a sign that their input was useless, so they left his CEO advisory boards. Trump made a particular point in his speech about how he represents Pittsburgh, not Paris. Well, not so much. The Governors of CA, NY, and WA were ready to go with a new alliance to show state-level commitment to Paris. Welcome to the world, United States Climate Alliance. The 3-minute video from French President Emmanuel Macron, in English, is historic-level trolling. He invites all scientists, engineers, entrepreneurs, and anyone else interested in building a clean economy, to come to France. And he ends with “Make the Planet Great Again.” Just watch it. And Canadian Prime Minister Justin Trudeau chooses his words carefully, saying the “United States federal government” has withdrawn — meaning, we can assume, he’ll be happy to work with states and cities. These reactions are just the immediate responses within hours. Trump has ensured that the U.S., as a federal entity, is a pariah on the world’s stage as the rest of the planet acts on its biggest challenge. But our cities, states, and businesses will move forward despite his mythic blunder. And the rest of the world, luckily for us, will welcome the chance to work closely with our true leaders.